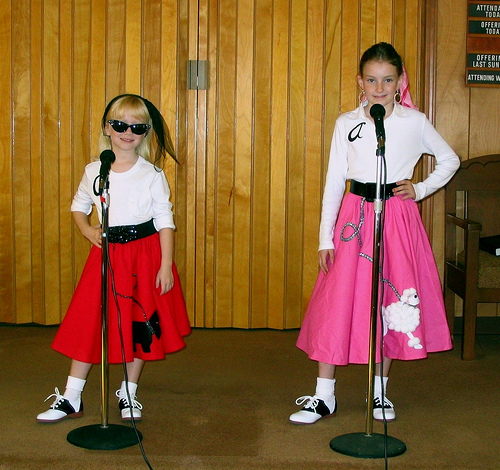 50s Halloween Costumes – Let’s Go to the Hop! The 50s costume craze is taking over with a raging river. The idea of stepping back in time and getting into the mind frame of the 50s guys and gals is fun filled time that no one should miss. Everyone remembers poodle skirts and tight leather jackets, even if they weren't born in that era. The stylish ways that the 50s costumes replicate the sensational fashion trends from the days of sock hops and drive ins. The 50s were a time of fun and flirting that made its mark on the world. 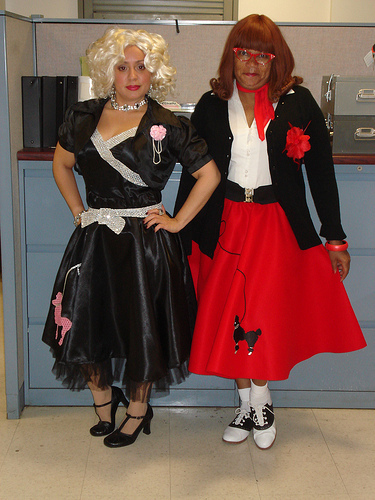 Adults are more likely to have fun in stylin 50s costumes, but kids can join in the jovial dress up action as well. Tiny tots in poodle skirts and adorable waitress costumes on skates, your little ones can stand out from the vampires and princesses that will be roaming the block on the eve of Halloween. 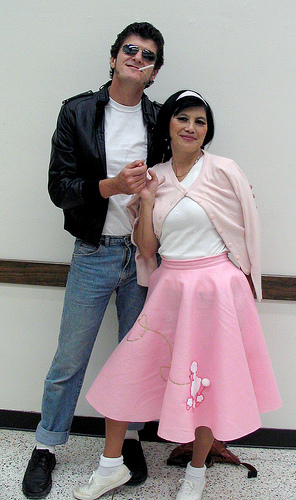 The fun of the 50s can be spread throughout your household with a 50s costume theme party. Who wouldn't want to join in on the personal Sock Hop at your house this year? Have a safe and fun Halloween, and don't forget your 50s costume to get the night started right! 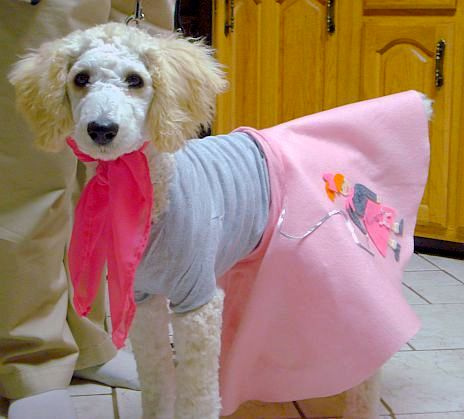 Poodle in a People Skirt!